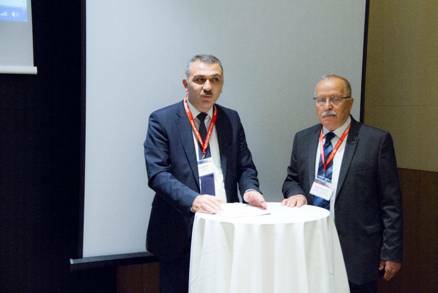 X Azerbaijan International Geophysical Conference has been held through November 1-3, 2017 in Baku at a beautiful venue Fairmont Hotel (Flame Towers). 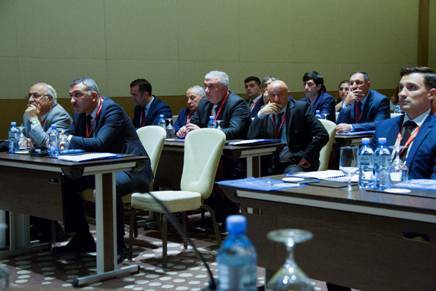 The conference held biennially involved participation of National Committee of Geophysicists of Azerbaijan, Geophysics and Geology Department of SOCAR, Society of Exploration Geophysicists (SEG), Society of Petroleum Engineers (SPE), major petroleum companies, geophysical and geological services in the Republic. 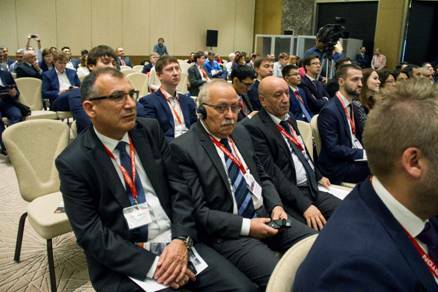 Joint Opening Ceremony was followed by technical sessions within the framework of X Azerbaijan International Geophysical Conference. 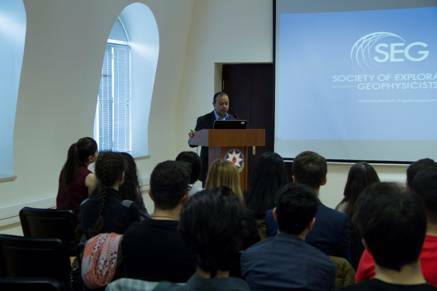 The key address was made by Elchin Shirinov, Head of Geophysics and Geology Department, wishing all attendees success and fruitful collaboration. 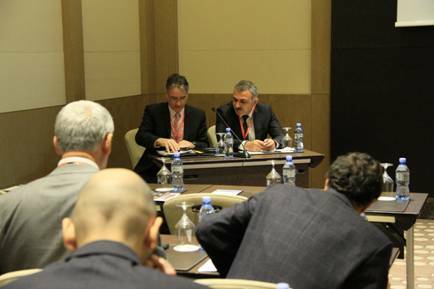 Shahvalad Kocharli, Chairman of National Committee of Geophysicists of Azerbaijan, also greeted conference attendees and made a few remarks on some organization procedures. 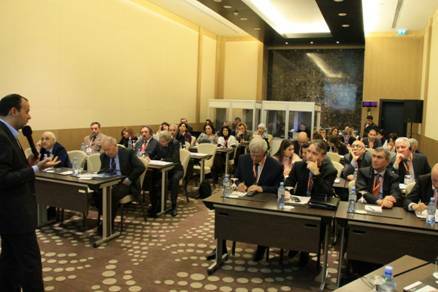 It must be noted that younger generation of geoscientists more actively participated in this event in comparison to previous conferences. 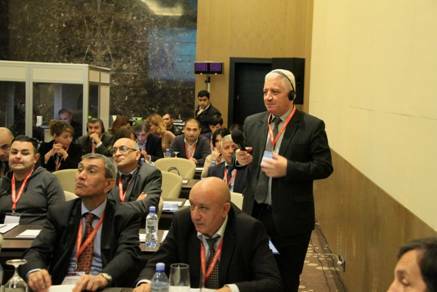 Conference attendees were sharing their experiences and vision on future development of geosciences during technical sessions breaks. The next conference is scheduled to be held in the fall of 2019. Presentations delivered at the conference may be reviewed and downloaded at www.amgk.az home page. 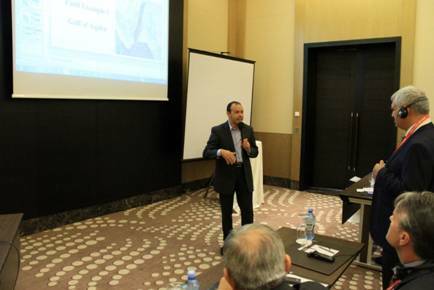 After the closure of the conference Sherif Hanafy made his presentation “Inverting every type of arrival for near-surface imaging” for students of Azerbaijan State Oil and Industrial University and Baku State University. 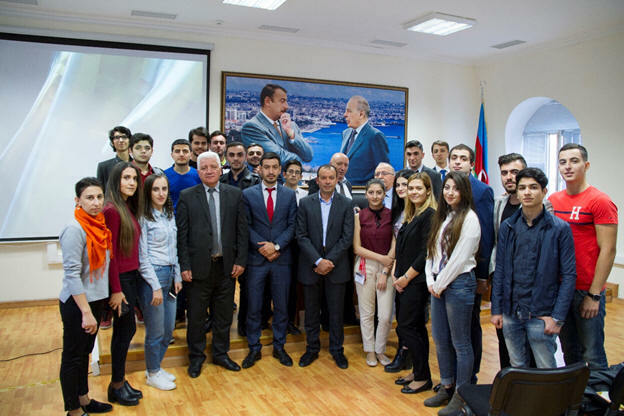 The presentation was delivered at the meeting hall of Geophysics and Geology Department..